SFH on secluded street in Alexandria! Three bedrooms and two full baths with a large yard and driveway! Open floor plan w/lots of natural light. Spacious kitchen w/view of the backyard over the sink. Master bdrm w/large walk-in closet! Sliding glass door from 2nd bdrm into backyard. Good sized 3rd bdrm with closet. Easy access to Route 1, GW Parkway, I-495 & I-95. ***0.2 miles to public bus stop! Directions:Route 1, turn Left onto E Lee Ave. At the end on the right. SchoolsClick map icons below to view information for schools near 2813 Lee Ave Alexandria, VA 22306. Home for sale at 2813 Lee Ave Alexandria, VA 22306. Description: The home at 2813 Lee Ave Alexandria, VA 22306 with the MLS Number VAFX906616 is currently listed at $3,780 and has been on the Alexandria market for 76 days. 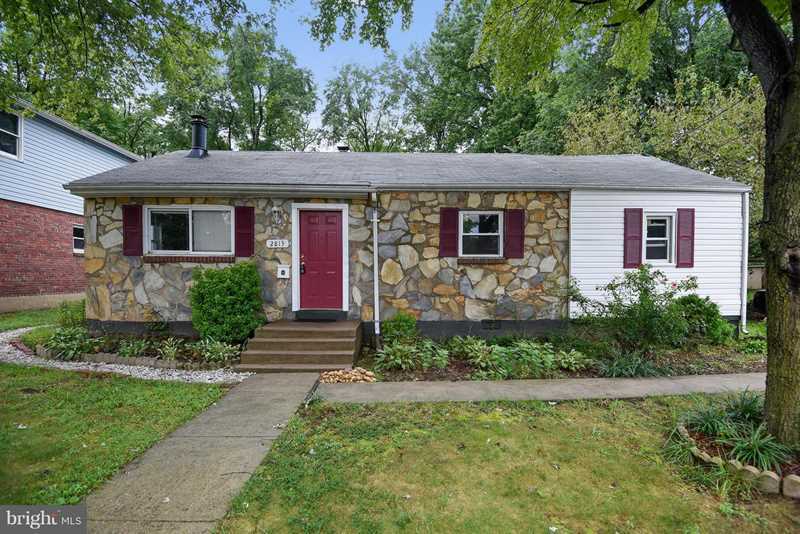 You are viewing the MLS property details of the home for sale at 2813 Lee Ave Alexandria, VA 22306, which is located in the Memorial Heights subdivision, includes 3 bedrooms and 2 bathrooms, and has approximately 1401 sq.ft. of living area.